Ever since we launched Defender's Quest on Steam, GOG, and other fine stores two weeks ago, I've been doing nothing but support and patches. My brain is about to melt and if I don't carve out some time to do something different every once in a while, I'll explode. So from now on, every Friday is my "do something else" time. My personal "20% time," if you will, to keep my creative muscles from getting burnt out. So, I'm prototyping a new game idea. Let's talk about it. 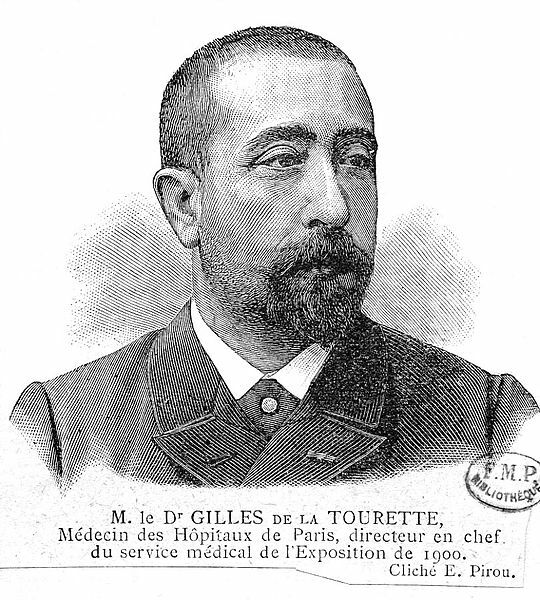 I have Tourette's Syndrome, a fun little brain disease that was a major source of pain in my childhood but which I've since learned to deal with. Although I'm no clinical expert on the syndrome, as a patient I have privileged access to the way the syndrome behaves. I've often thought it could make a cool idea for a game mechanic. So here it is- a basic game idea based on my experiences with Tourette's Syndrome. Simply put, Tourette's is a neurological disease that makes you do weird stuff against your own will. These unintentional behaviors are called "tics" and range from simple "nervous tics" to strange, complex, obscene, or even violent physical and verbal outbursts. There's no cure for TS, and I doubt there will be in my lifetime. Seeing as it's neither lethal nor degenerative, I can live with that. Most people's experience with the condition is only through the sensationalized portrayal they see in television and movies. "Movie Tourette's," as I like to call it, obsessively focuses on one lurid and fairly rare symptom called coprolalia, or involuntary cursing. It's a shame the media focuses so much on this one rare thing because it doesn't accurately represent the wide range of symptom "portfolios" that present in the Tourette's population, especially given how rare coprolalia is. One of the most common Tourette's symptom is compulsive coughing, which occurs despite any actual physical need to cough (such as allergies, cold, etc). Other "mild" symptoms include compulsive eye blinking, muscle twitches, and making quick, short noises. On the extreme physical end of things you have full-body tics, such as punching things, throwing oneself down a flight of stairs, and uncontrollable muscle jerks so severe the patient risks self-injury. Extreme verbal tics can be just as bizarre - spontaneously bursting into song, rattling off paragraph-length chains of nonsense, and of course, obscenities. Tics cannot be effectively "suppressed" through force of will alone. At best a patient can delay tics for a while, at the cost of making them worse later. Beyond the physical challenges in living inside a body that constantly short-circuits, social spaces can be difficult to navigate, because Tourette's Syndrome turns you into a very annoying human being, and there's not always much you can do about it. I could write a whole book on what it's like to live with the disease, but this is a game design blog, so let's talk about the prototype. The game design is inspired by Spelunky, FTL, and The Binding of Isaac. It's a procedurally generated zelda-like dungeon crawler where resource management is key. The central "resource" you have to manage is mental stress and Tourette's symptoms. Your goal is to make it as far as you can in a dungeon without dying, and each floor unlocks a new Tourette's Symptom. You start with mild symptoms and progress to more severe ones, all of which are chosen randomly, so over multiple play-throughs the player gets to experience the full range of Tourette's "symptom portfolios." All sorts of things increase stress. Just walking into a room with more than few npc's or monsters in it is inherently stressful, for instance. This, and all other aspects of the game, are based on my life experiences - for instance, friends have noted that my tics sharply increase whenever there's more than three people in the room. Monsters can attack you, which makes you lose health and/or gain stress. The more stress you have, the more likely you are to have tics. You usually get a little warning about this - you can see in the above screenshot that the character is about to cough. He can try to suppress this by holding spacebar until the tic passes, but this will increase his stress level and make future tics more likely. Additionally, the little thought bubble overlay provides a tiny distraction and trying to juggle the knowledge that you're about to have a tic with second-to-second combat decisions is a pretty close analogue to my life, when I'm carrying on a conversation with someone and I just know I'm about to tell them "Your face reminds me of a watermelon carved into a bust of your face*"
Actual tic. This is one of the milder ones. If you choose to burn the midnight oil, however, you can explore every nook and cranny of the current floor, and stock up on resources, items, and other useful loot, at the cost of diminished sleep and loads of symptoms to contend with on the next floor. If you run out of keys entirely, you can sacrifice a bomb to just blow the door up, or spend hearts to get through. **The key mechanic is directly inspired by Christine Miserandino's "Spoon Theory" metaphor, which comes from her personal story about living with Lupus, and is a great way to explain the intangible "resource" costs of these kinds of diseases to outsiders. The prototype is at a very early stage. There's only one dungeon floor, and the only tic I've implemented so far is coughing. Depending on the severity of your stress, the cough radius will be either small or large. Coughing wakes up sleeping monsters, so it's in your best interest to avoid it whenever possible. If you think your cough will be small, standing in the corner and letting it out is a good strategy because it doesn't increase stress. Otherwise, you might be better of suppressing it just to get you through the current room, as long as you can deal with the extra stress. Coughing annoys people. Also monsters! The real challenge in designing this prototype is that I'm modeling a system that takes away control, and a fundamental rule of game design is that you never take away control. Rules are meant to be broken, of course, but they're there for a reason - if I'm going to yank control away with something as invasive as Tourette's Syndrome, I need to be very careful about how I do that so the player still has enough tools at their disposal so that winning or losing follows from how well they play the game. What I'm aiming for is a play style where you don't have perfect control over your minute-to-minute actions, so you take that control back on a larger, zoomed-out scale. You have to carefully manage what situations you let yourself get into, think about what risks you want to take, and conserve your physical and mental resources. Often, you'll have to sacrifice going after something you want if you're not prepared to deal with the symptomatic consequences. This is exactly how I handle Tourette's symptoms in real life, and I think it could make a cool game. If you'd like to see more Tourette's quest, then do me a favor and buy a copy of Defender's Quest for yourself or a friend so I can afford to pursue crazy side projects like this one! You can download the current, super terrible prototype right here. It's windows only for now and thrown together in Game Maker. You move with the arrow keys, attack with X, and suppress tics with SPACE. If you run out of hearts, you die. Stress is currently measured in both positive and negative units - so just like in my own life, doing things that make you happy and excited, such as getting loot, actually increase your symptoms. Stress (both positive and negative) goes down whenever you enter a new room, but goes up if there's a lot of monsters in it. Rooms are "labeled" so you can anticipate what's in there before venturing forth, which is key to risk management. The stress system is likely to go through a lot of iterations before the end. There's only two monster types right now - goblins and "nostriloks." Nostriloks increase your stress but are otherwise harmless, and goblins can hurt you, but start off asleep until awoken by an attack or a cough. The idea behind the nostrils is that the word "Nostrils!" is my most frequent verbal tic. One idea I had is that this could be a magical world where magic is done by incantation - so being a wizard with Tourette's is a severe liability. Every time you have the "Nostrils!" tic you'll say the word and summon a Nostrilok. Normally this isn't a problem, but if you have a lot of stress you could fill up the room with minor enemies and get yourself into a bad situation pretty quickly. This, along with a million other ideas, isn't implemented yet. You can collect money, but it doesn't do anything just yet, nor can you use bombs, or magic, or anything other than your sword for right now. So, let me know what you think and if you have any feedback. I have no idea where I'm going to take this thing or even if it's going to turn into a full-fledged game or not, but I felt like sharing. Also, graphics, sound, and visual glitches will intentionally remain terrible throughout the entire prototyping phase. I find whenever I try to polish the assets up I start getting needlessly attached and it interferes with just finding a good central design.